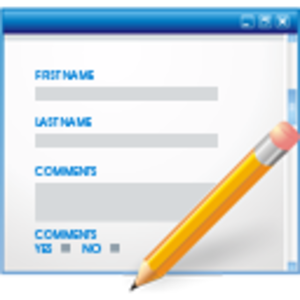 Feedback forms have not made it into the standard list of essential components for a website, like a dedicated homepage, contact page or search function. This is a shame, because they play a vital role in improving your website and getting it better tuned towards your targeted audience. If you see a feedback form in this perspective it suddenly because more then a simple add-on. It becomes a valuable part of your website you want to get right. Ask no more questions then needed to process the feedback. Your hunger for information may refrain visitors from using the feedback form. Make no or only a few fields required. If you think about it, only the feedback field itself is essential to get feedback from visitors. Do not ask visitors to categorize. These are people who want to help you, they did not sign up to be your secretary for free. Do not send the visitor to another page. He might be referring to a text or an bug on the page. It help if he/she can still see it while writing the feedback. If possible track the url, page or product the visitor was reading when sending the feedback. This gives you background information on the question or feedback. If possible track the device, os and browser the visitor was using. This can help you recreate a bug a visitor experienced. Make sure the feedback stands out on the website. Do not make it blend in to perfectly for aesthetic reasons. Be clear on how the feedback is processed. Tell them if you intend to send replies, and if so, within how many days. A bug is reported: fix it! Appreciate every feedback you receive. Do not think you know better and your visitors should keep their opinions to themselves. If you didn't create the website for them, for whom did you create it? You don't have a feedback form on your website? Use our feedback form builder to create one. These feedback forms are compatible with every CMS (like Wordpress, Yoomla, Magento, Drupal) and website that don't use a CMS.